The promo is open to all RCBC Bankard Principal and Supplementary cardholders whose accounts are active and current and in good credit standing. Promo runs from February 1 to April 30, 2019. Codes are valid until May 1, 2019. To avail of the P200 discount, cardholder must use his/her RCBC Bankard credit card to pay for his/her bill at Foodpanda for a minimum spend of P400.00. For the free delivery, cardholder must spend at least P200.00 using their RCBC Bankard credit card. 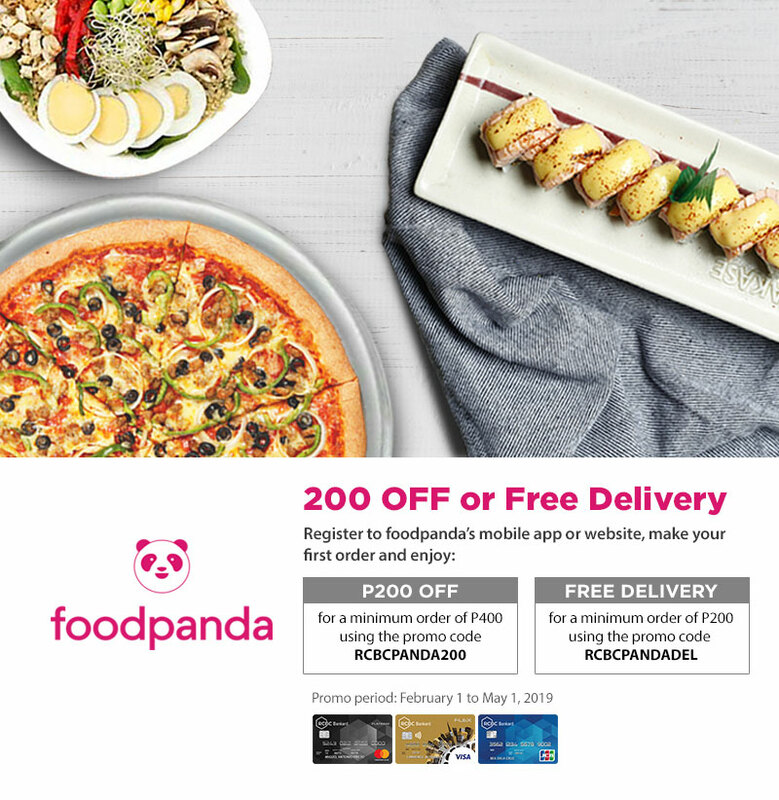 Discount is only applicable to newly registered user in Foodpanda during the promo period. Codes are not valid for fastfood chains of Jolibee Group and Max’s Group. Download foodpanda’s Mobile App (iOS / Android) or visit foodpanda.ph. Filter the results to restaurants that accept discount vouchers. Proceed to the checkout page and enter the promo code RCBCBANKARDPANDA in the space provided. Per DTI-FTEB Permit No. 0960, Series of 2019.